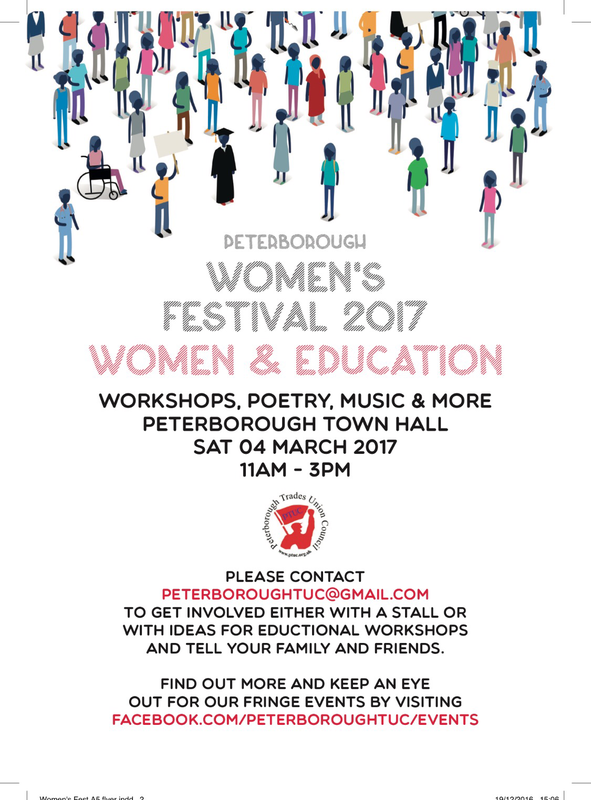 Peterborough Women’s Festival 2017 – A weekend celebrating womenPeterborough Women’s Festival 2017 will take place on Saturday 4 March and will involve a whole weekend of exciting events for Peterborough residents to get involved in. The weekend will kick off with an event at Peterborough Town Hall from 11:00 – 15:00 with speakers and stalls. It is a community event and will feature information and stalls on the subject of Women’s health and well-being issues run by local groups such as Peterborough Pensioners, PCVS, Women’s Aid and ASPIRE health and fitness as well as various trade unions. There will be craft stalls, artists and people can get involved in writing poetry for the spoken word fringe event taking place the following day. Peterborough Archives Service will be exhibiting and speaking on the difficulties of tracing women’s history in the morning. In the afternoon, Andrea Needham will speak on her book The Hammer Blow – How 10 Women Disarmed a War Plane. In the middle of the day there will be four speakers with 15 minute speeches on the theme of women and education. People will be invited to bring items for a food-bank collection. There will also be a community collage taking place and people are invited to bring along photos or pictures of women who have inspired them to add to the collection. 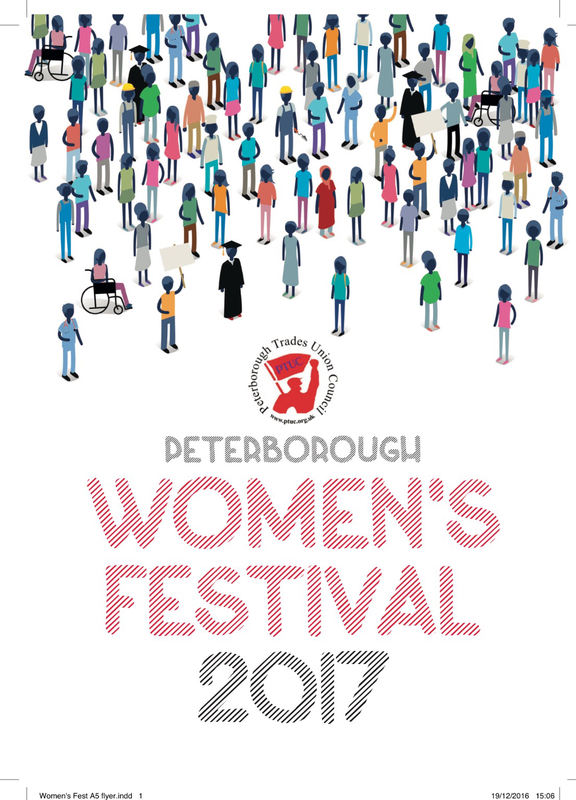 Two Peterborough Women’s Festival 2017 fringe events have also been organised for the weekend. The Women Take Over the Ostrich Inn music night featuring The Stringlers, The Baby Seals, and Beverley Kills will take place at the Ostrich Inn on North Street from 7.30pm on Saturday 4 March. This will be followed by the Women’s Spoken Word event at the Stoneworks on Church Street, Cathedral Square, on Sunday 5 March. This will feature Maria Ferguson with extracts from her Edinburgh Fringe Festival show Fat Women Don’t Dance, local poet Charley Genever and an open mic slot for spoken word and poetry. We also hope to be reading out some of the poems written at the Town Hall event poetry workshop. It will take place from 3.30pm. All events are free to attend but donations welcomed. Bookings for the Town Hall stalls are open until 19 February. If you would like one then please contact the organisers at peterboroughtuc@gmail.com or via the Peterborough Women’s Festival 2017 event page on Facebook. International Women’s Day – 2017International Women’s Day is 8th March 2017. On 21st March 2017, the Joint WAC and Regional Chairs & Secretaries have decided to commemorate International Women’s Day by having a guided walk, meeting at Embankment tube station at 9.50am for a 10am start. The walk will be for about 2 hours ending at Westminster tube station. There will be a speaker, Ian Porter – Suffragettes in Westminster. There is a charge of £9.00 per person for the guided walk. Anyone interested in attending, will need to contact their branch to cover expenses. Following the walk, the Joint WAC and Regional Chairs & Secretaries will been having their meeting at 2pm at the YMCA, Tower Lodge Conference Room, 200 The Broadway, Wimbledon, London SW19 1RY. 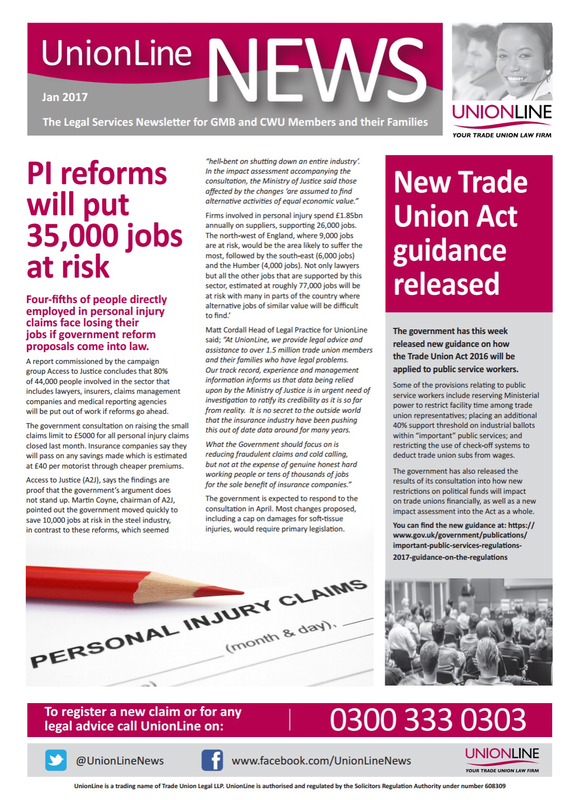 Anyone interested in attending the meeting, could you please email equalopportunities@cwu.org. Any enquiries regarding this LTB should be referred to the Equal Opportunities Department. 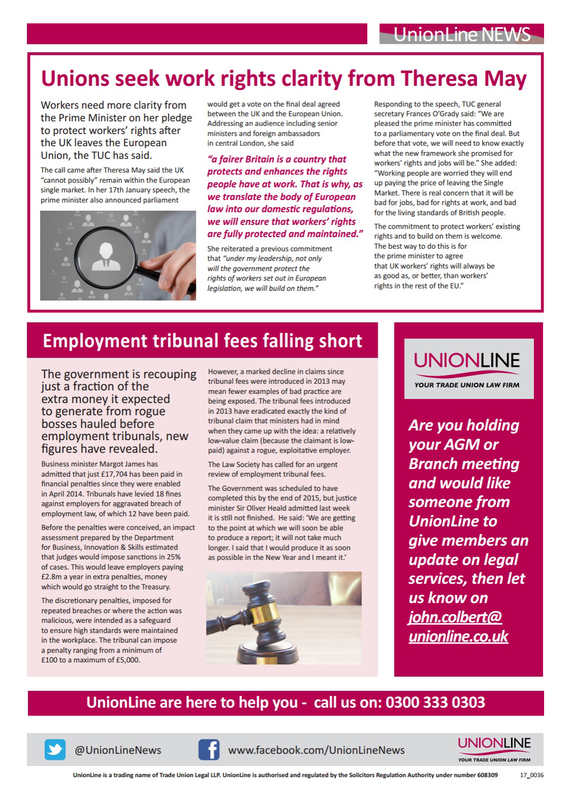 TUC Black Workers Conference 2017 – VisitorsThe TUC Black Worker’s Conference 2017 is being held from Friday 7th April until Sunday 9th April 2017 at the TUC, Congress House, Great Russell Street, London WC1B 3LS. 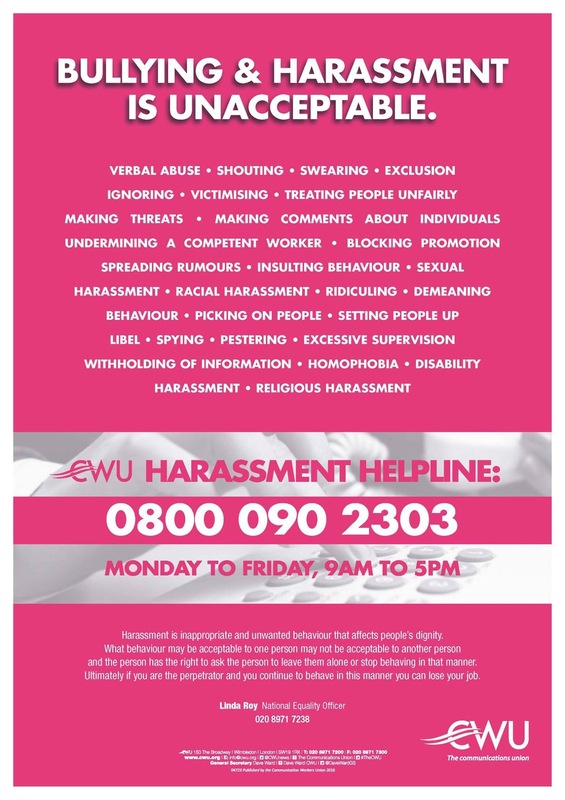 The CWU are allowed a limited number of visitors to attend the Conference and places will be allocated on a first come, first served basis. Should anyone be interested in attending the Conference, they will need to contact their Branch initially for funding, to include a £10.00 visitor’s ticket fee. Please let me know if you would like to attend the Conference as a visitor by no later than Monday, 20th February 2017. Please note that places will not be reserved until a cheque for the £10.00 fee (made payable to ‘TUC’) is received in my office by the closing date. • Drivers who use their mobile phones while driving will receive six penalty points and a £200 fine from 1 March, even if it is their first offence, as the Government seeks to clamp down on dangerous driving. • A national campaign by Police has begun to increase the enforcement on people who use their mobile phones while driving in the run up to 1 March when the Government introduces stricter penalties for the offence. • A report published by the RAC in September 2016 stated that 31 per cent of drivers now admit to using a mobile phone when driving, up from eight per cent in 2014. A national Police campaign has been launched in the run up to the legislative change, with police running targeted operations against drivers on their mobile phones and educational campaigns to warn of its dangers. • advising the public about changes to penalties for mobile phone use while driving from 1 March 2017. Last November 36 Police forces across the country took part in another campaign against mobile phone driving offences, stopping 10,012 vehicles and detecting nearly 8,000 mobile phone offences, the highest ever total for a week of enforcement on distraction driving. The current Legislation was introduced back in 2003 which prohibits the use of hand held mobile phones whilst driving. But with the advances in hand held devices and the worrying increases in the use of these devices at the wheel, the law is now being changed again. “In March 2017 a change of the law will take place to reflect the severity of this offence. Not only will those caught get a £200 fixed penalty fine, but if they are caught twice and accrue 12 points they will automatically appear in court and face a fine of up to £1,000 and a driving ban of up to six months. One of the biggest changes is that new drivers could face having their licenses revoked after the first offence, and to regain their license must reapply for a Provisional Driver’s License and may only drive as a learner until they pass further theory and practical tests. This process would run up a bill of over £100 on top of the £200 fine so not only is it dangerous, it’ll be a very expensive mistake to make. There is growing evidence that the use of mobile phones is becoming a more common contributory causation factor in many serious collisions. It is the mental distraction more than the physical distraction that causes the problems. The Government, Police and Road Safety Campaigning Organisations want Drivers to think about the dangers of using a mobile phone at the wheel and not to put their, or other people’s, lives at risk. Although it is currently legal to use hands free kits, this still causes a similar mental distraction to that of a hand held mobile phone and the latest version of the Highway Code, revised in 2007, actively discourages the use of hands free kits. Even if you’re using a hands-free phone Drivers should avoid making or answering calls when driving. All phone calls distract drivers’ attention from the road. Additionally people should not call other people when they’re driving. If you call someone and they tell you they are driving, ask them to call you back when they have parked up safely. • Reduce the incidence of motorists using their mobile phones whilst driving. • Improve driver attitude and behaviour with a view to preventing road collisions occurring. • Reduce casualties resulting from road collisions, particularly those resulting in fatal or serious injuries. • Raise awareness amongst motorists about the potential consequences of driving whilst using a hand held or hands free mobile phone. • It is also illegal to use a hand-held phone or similar device when supervising a learner driver or rider. • The current law states that you can get an automatic fixed penalty notice if you’re caught using a hand-held phone while driving or riding. You’ll get three penalty points on your License and a fine of £100. In March this will double to Six Penalty Points on your License and a Fine of £200. • If you need to call 999 or 112 in an emergency and it’s unsafe or impractical to stop. • If you are safely parked. • You can use hands-free phones, satellite navigation systems and two-way radios when you’re driving or riding. But if the police think you’re distracted and not in control of your vehicle you could still get stopped and penalised. • The police can stop a vehicle for any reason. If they ask you to stop, you should always pull over. You’re breaking the law if you don’t. For more information please visit http://www.gov.uk/using-mobile-phones-when-driving-the-law. 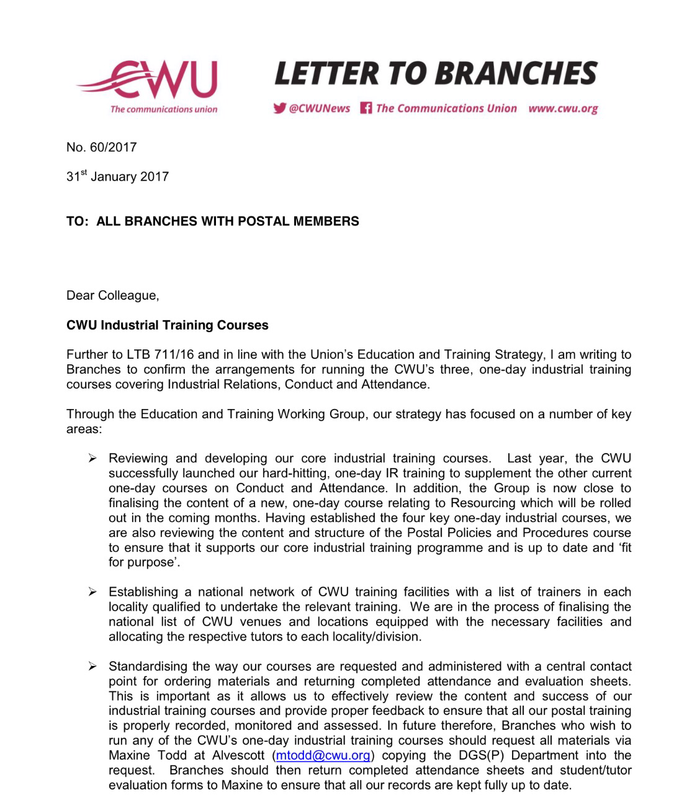 Branches and representatives will be aware that LTB 420/16 communicated the Joint Statement between Royal Mail and The CWU Covering The Deployment of Gravity Rollers For Large Parcel Sorting in The Mail Centre Network (copy attached for ease of reference at Annex A). The business has now informed the department that feedback from the initial deployment activity has been very positive and that additional funding has been secured to extend deployment of the standard method via Phase 2 activity. During Phase 2 it is planned to deploy a further 17 sets of Gravity Rollers in Mail Centres during January to March 2017, which will mean that 24 out of 38 Mail Centres will be operating the new standard method. The table attached at Annex B provides details in relation to the number of conveyors that have been deployed at each Mail Centre in Phase 1, will be deployed in Phase 2 and a total overall. Branches and representatives are therefore informed that local engagement should now take place in regard to deployment arrangements in line with the aforementioned Joint Statement. The period of office for the above position will be from April 2017 until April 2019. Candidates must be nominated by their own branch at a properly constituted branch meeting. Where there is more than one candidate for each position there will be an individual member ballot of the whole membership of the respective region, and ballots will be conducted in accordance with the attached election guidelines. Ballots will be run concurrent with the NEC/Industrial Executives elections scheduled to take place during March – April 2017. 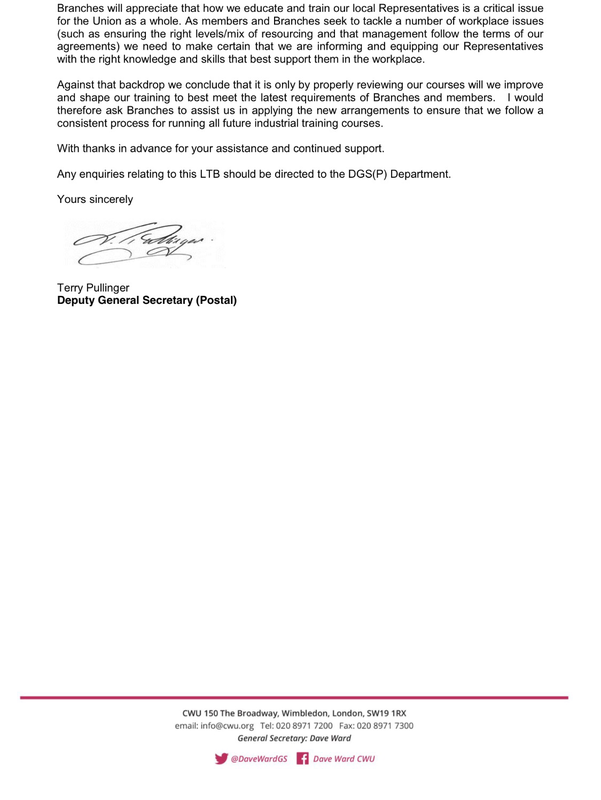 Nomination Forms are attached to the electronic version of this LTB, or are available on request from the Senior Deputy General Secretary Department and should be returned to: Tony Kearns, Senior Deputy General Secretary by 14:00 on 28th February 2017.